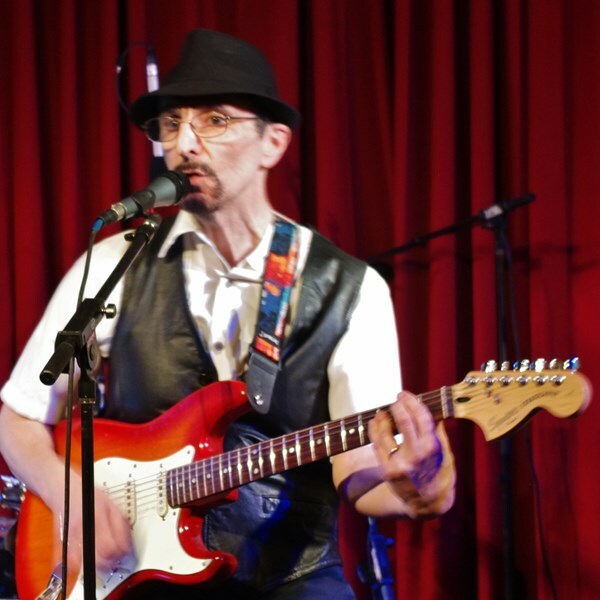 "Just Harry" is a rockin' one-man band (solo performer) who offers a mix of familiar rock favorites spanning the oldies decades, through the 80s to contemporary pop. 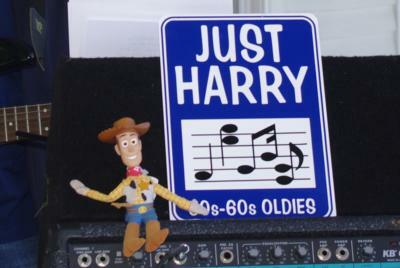 Styles include rock 'n' roll, rockabilly, doo-wop, country, Americana, Pop, Standards and anything in between. Flexible sets for varying audiences, venues and events, Just Harry is ideal for reunions, anniversaries, parties and family gatherings as well as business, civic, community and faith-based events. A vocalist and guitarist, during a show Harry sings and plays guitar accompanied by his own recorded arrangements creating the sound of a five piece band complete with three-part harmony. Unlike karaoke where the backtracks are commercially produced, all the music and vocals on Just Harry arrangements are performed by Harry. To get a better sense of how it all comes together, please listen to the audio samples - and its okay to sing along! Rates are flexible and favorable consideration is given for veteran, church, civic, and non-profit community organizations. 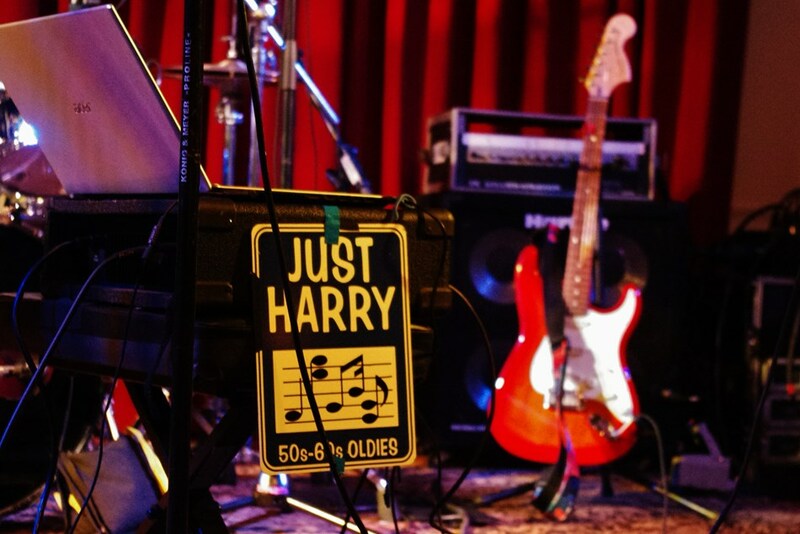 Just Harry has had successful shows at Maggiano's in Boston, Westin in Waltham, the Puritan in Manchester (NH), Captain and Patty's in Kittery, Grill on the Hill (Green Hill Country Club) in Worc. MA, and China Bistro in Laconia as well as out venues such as the Cheshire County Fair, Amesbury Antique Car show, Nashua Christmas Stroll, the Sandown and Dracut (MA) Old Home Days plus as numerous business, public and private engagements. If you are looking for something different from a DJ and need more than an acoustic act, but don't have the budget or a large enough event for a full band, please consider hiring Just Harry. Just Harry was great - the store manager and staff loved him and are looking forward to having him back to the store to entertain our customers. Just Harry was professional from the moment he brought is his equipment to the time he pulled away. We had some scheduling issues with the dinner and Harry was very accommodating in changing times he would play. His choice of oldies was perfect for our crowd who were mostly in their 60s and 70s. We weren't really expecting to be able to dance but his arrangements are terrific and several couples got up for fast and slow songs. We loved the doo-wop and Beach Boys. I was more than satisfied and would recommend Just Harry to friends for family or church functions. Just Harry performed for us on 9/12/15, at a 50+ year High School Reunion. His selection of songs was perfect, choosing a blend of music appropriate to the generation of the reunion attendees. The first portion of his set was mellow and provided a good backdrop while the meal was served; after people were done eating he upped the tempo of the songs and got some folks out on the dance floor. We were very happy with Just Harry and would definitely hire him again as the entertainment for our Golden Reunion. Please note Just Harry will also travel to Bedford, Merrimack, Auburn, Litchfield, Londonderry, Goffstown, Derry, Hooksett, Amherst, Chester, Candia, Hudson, Mont Vernon, Nashua, Windham, Milford, New Boston, Sandown, Bow, Concord, Hampstead, Hollis, Raymond, Suncook, Salem, Weare, Atkinson, Danville, East Candia, East Hampstead.